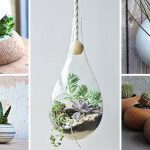 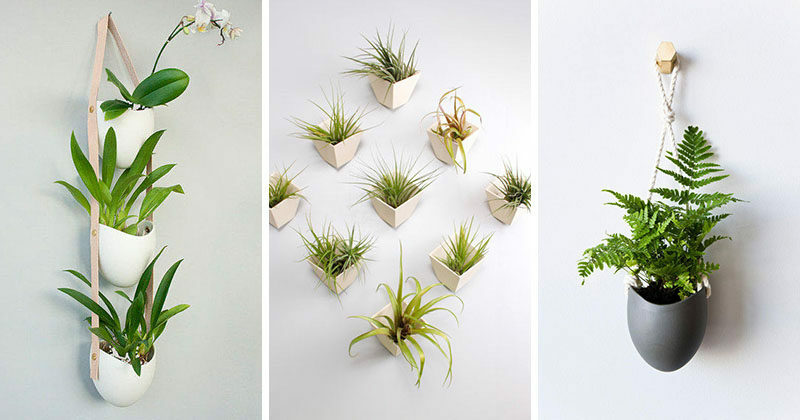 Design studio Light + Ladder has designed a collection of modern wall planters that create contemporary art-like wall installations to show off your small plants. 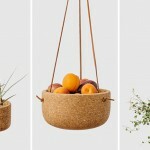 Located in her studio in Brooklyn, New York, Farrah Sit designs each piece before it’s made either in-house or by small-batch manufacturers located around the US. 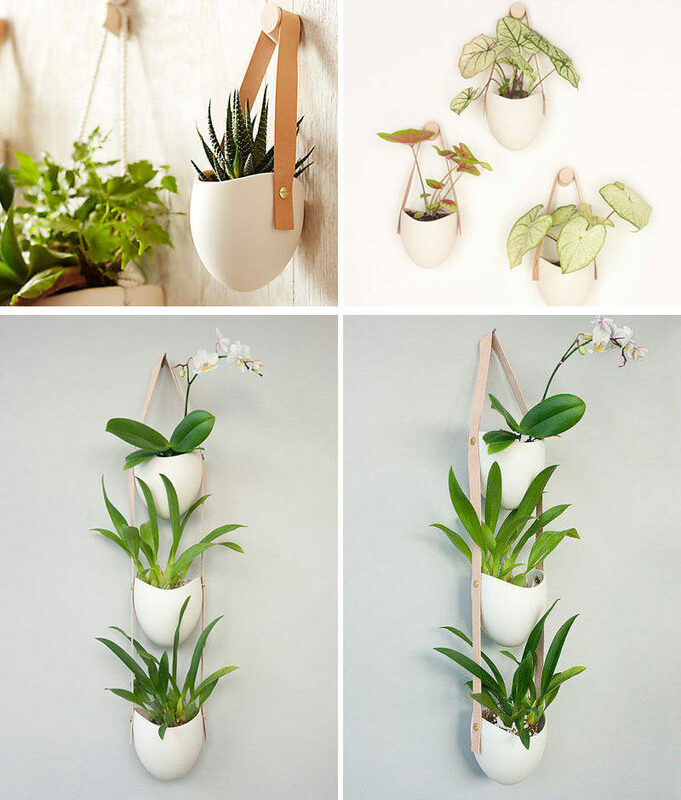 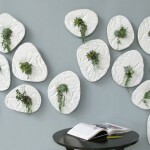 Let’s have a look at some of her collection…These delicate porcelain planters hang gently against the wall by a leather strap that hangs from a small wood hook or if they are combined in a series of three, the leather strap contains all three planters. 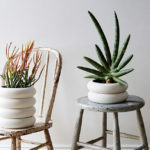 With other planters, twisted cotton rope has been used instead of the leather to create an entire different look, while the high fired porcelain creates a white or grey smooth matte look. 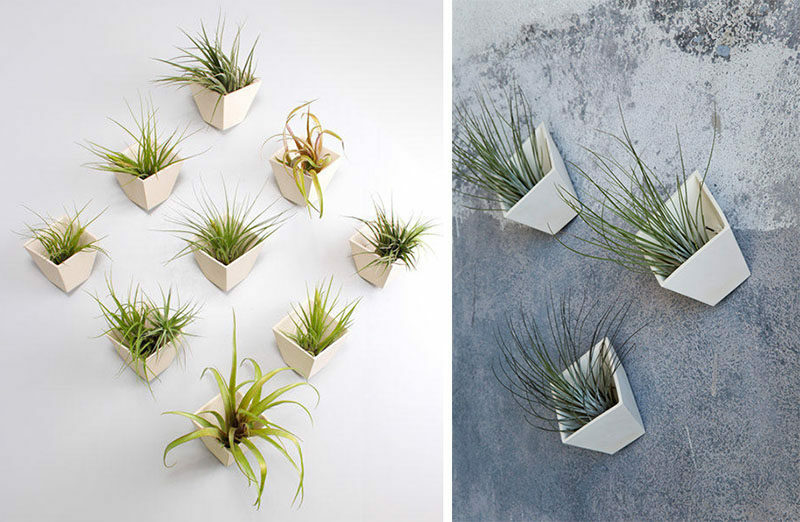 With her Hive set, a series of 9 geometric planters are combined to create a natural art installation for any wall, as they are the right size to hold air plants. 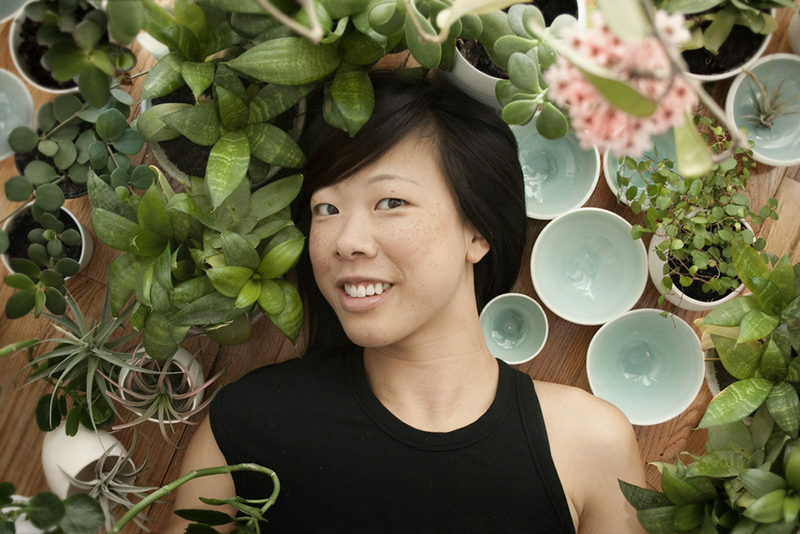 The planters have been made with stoneware that’s matte on the outside, and glazed clear on the inside.